City cars that are capable of going off the beaten track is a very niche market, but recently the likes of Fiat and Dacia have put micro off-roaders on the map. 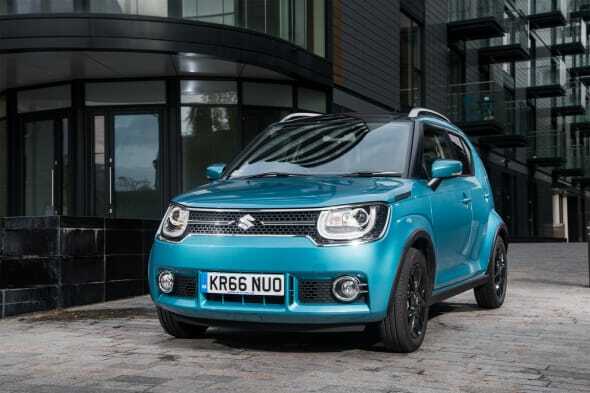 Now Suzuki is bringing back a model from the past to reinvigorate their small car sector, and with the reintroduction of the Ignis, Suzuki hope to offer a real challenge to its rivals. Described as a 'compact crossover', the Ignis has spent a decade out in the cold and is now being brought back in a stylish new body and with improved comfort. After a run of relative success during its seven-year stint in the early 2000s, the well-priced yet sometimes underappreciated model is looking to reclaim its place in the market. First shown in its final form at the Paris Motor Show in September and already on sale in Japan, Suzuki hopes this model will be an alternative to its popular market rivals. With the single 1.2-litre 'Dualjet' petrol option, the Ignis doesn't have the engine variation of some of its rivals, and when compared to the smaller Baleno's 1.0-litre turbocharged 'Boosterjet', it doesn't feel as upbeat. As when it's fitted to the Swift, it requires a bit of revving to get going, but this adds to the Ignis's charm. In a second guise, the SHVS hybrid offers energy regeneration from braking to improve both the engine's efficiency and the 0-60mph time. Coming in SZ3, SZ-T and SZ5 trim levels, the Ignis offers great options for all price points under £14,000. Starting off at £9,999, the SZ3 trim offers a good standard specification as it's fitted with a DAB radio and Bluetooth connectivity, front electric windows and five-seats. The SZ-T and SZ5 is where the Ignis looks its best, with chunkier alloys and roof rails, and the top level SZ5 comes with auto air-conditioning, dual camera brake support and keyless entry and start. As well as the stylish LED headlights and front fog lamps, the top spec looks surprisingly premium. With Fiat's Panda 4x4, the Sandero Stepway from Dacia and the Vauxhall Viva Rocks taking the market share, the Ignis is looking at stealing the rugged city car crown from them. Thanks to the optional 4x4 system, the Ignis is as capable on a muddy track as it is on a regular road, something which only the Panda 4x4 can compete with. With a high seating position, the Ignis is easy to get in and out of and this also offers a great front and side view of the road around you. It is also very easy to get comfortable in too, however the steering wheel's reach is non-adjustable. With a simple-to-use layout and touchscreen system, it's an easy car to live with. The ride is set up for comfort rather than a more dynamic drive, but this doesn't detract from the experience in any way. With light steering, clutch and gearbox feel, it was easy to navigate around the traffic on its inner city test, while at motorway speeds, it was perfectly comfortable on its 16-inch alloys. When taken off the beaten track, the Ignis performed superbly for such a simple four-wheel drive system. With the kerb weight at a feather light 920kg, it can easily get across a muddy field and up a bumpy track without too much hassle. Thanks to its modern styling and well-thought out interior, the Ignis is a great option in either the city car or compact crossover sector. With the lower price point, it also has good value for money, especially in the mid-spec SZ-T trim. Although the Volkswagen Up has a more accomplished finish and drive, the Ignis is a great alternative to its dominant German compatriot.